Designed a National Historic Landmark U.S.C.G. cutter Fir is the last surviving tender built under the U.S. Lighthouse Service. She was originally used to service and maintain lighthouses in the Puget Sound and along the Washington coast. 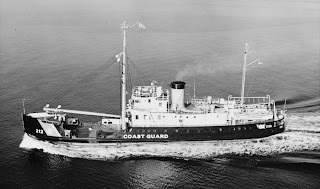 Although built for the U.S. Lighthouse Service, she was commissioned by the the U.S. Coast Guard in 1940. She served along the coast of Washington state until decommissioning in 1991.